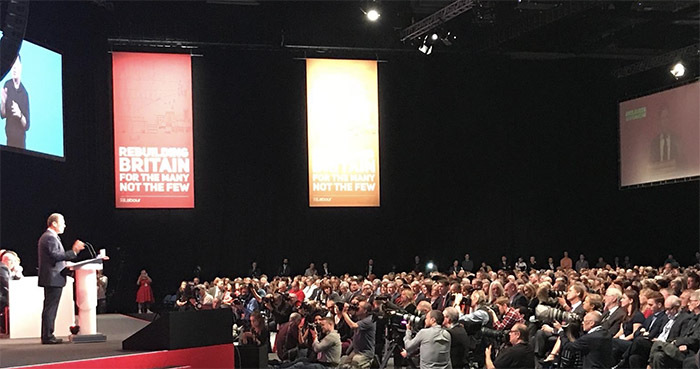 It cannot be said that justice has been at the forefront of the Labour Party Conference which finished today. With the party’s leadership talking mostly about antisemitism, it was left to the fringe events to talk about such depressing subjects as legal aid, the criminal bar, access to justice and court closures. The plan appears to be to try and reverse the changes since 2010. At one fringe event organised by the Society of Labour Lawyers, Richard Burgon MP, shadow justice minister, on a panel with Nick Thomas-Symonds, shadow solicitor-general, set out proposals for Labour to bring back legal aid as “a pillar of the welfare state and properly support law centres as engines of empowerment for working-class communities”. Burgon commented that people have been “priced out of our justice system” by the collapse of funding since austerity measures in 2010 and suggested that we should reintroduce legal aid for “initial advice”. Some of these plans had been laid out in an interview with Huffington Post at the weekend where Burgon said Labour would inject investment into law centres, providing “a serious boost” for them so that they become “a key training ground” for the next generation of lawyers “from their communities representing their communities”. Statistics on law centres, legal aid and court closures make for grim reading. Legal aid expenditure has fallen from over £2.5 billion in 2005-6 to £1.5 billion in 2017-18. Law centres have reduced in number by 63 to 43 in the same period, and not-for-profit legal advice centres from 3,226 to 1,462. Perhaps the most staggering statistic of all is that the Law Society has counted 258 court closures from 2010 to 2017. The government is currently reviewing the impact of the Legal Aid, Sentencing and Punishment of Offenders Act 2012 which brought in many of the changes which are seen as being so detrimental. You can read the Law Society’s response to the implementation review. Looking forward to the coverage of the Tory conference at the end of the month. When will this once great party come back in from the cold. It would be nice if Labour, just once in this generation, gave us the option of a Wilsonian, one-nation Labour. PRIME MINISTER JEREMY CORBYN 2019!!!! An LC article that will fester in the archives until Corbyn’s Labour has lost three elections in a row and the adults have got back control of the party. Then it’ll be dragged out as a curiosity to laugh at. Whatever these student politician clowns say is irrelevant. I’d rather vote for UKIP than Labour with Corbyn in charge and I detest UKIP.